Here are some assorted items from the past week that didn't quite justify their own posts. First, the rendezvous of the Cygnus spacecraft with the International Space Station has been delayed for 48 hours. Originally scheduled for today, the delay was caused by some data discrepancy during the approach sequence. The rendezvous is now scheduled for Tuesday. Meanwhile the ISS crew has an off-duty day before a busy week that includes not only the Cygnus rendezvous but also the arrival of three new crew members. 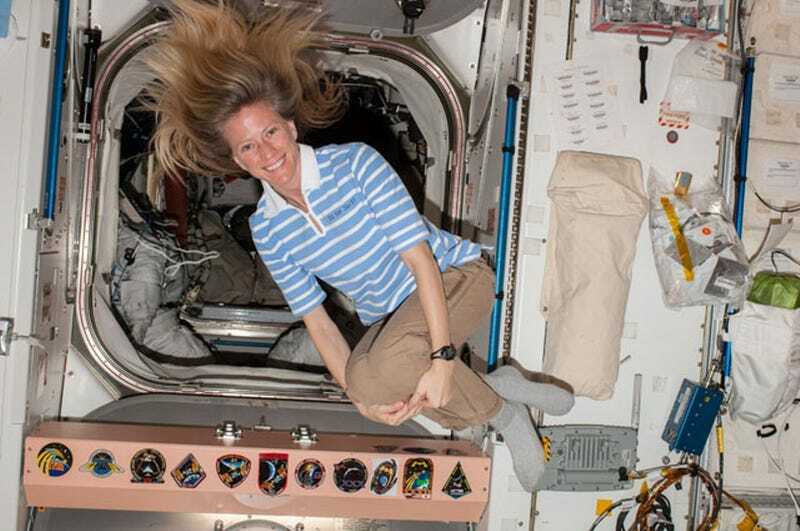 Above, astronaut Karen Nyberg demonstrates how they run on the treadmill while on the ISS. Below, she discusses choosing mechanical engineering and being a woman in a male dominated field as part of a series of videos made before her flight to the ISS. Meanwhile, astronaut Kate Rubins has some concerns about her new computer.